It doesn’t matter if you’re a local attorney, or a multi-million dollar hospital, you probably have questions about airing videos on TV. In today’s media-saturated world, broadcast advertising is one of the most visible options for advertising. It’s all about getting your message in front of the right people the right number of times per week. Yet, figuring out the perfect formula to achieve the optimal reach and frequency for your business can be difficult. That’s where a marketing agency comes in. Marketing agencies can help you develop a game plan, set goals and budgets, and produce strategically focused videos that will insure that you the get the highest possible return on investment. Below are the basic steps to working with an agency to get you video on TV. 1. Choose an initiative to promote. For a local attorney, the new initiative might be promoting his or her personal injury services. For a hospital or health care provider it could be welcoming new physicians or announcing a new state-of-the-art facility. What’s your new offering? Is there a part of your business you wish your community knew more about? If you’re unsure of which area of you business to promote, your agency will be happy to help you figure out where to focus. Are you looking to reach a new group of people? Or are you trying to attract more of your current type of customer? These may seem like simple questions, but the type of viewer you want to reach dictates where and when your agency will air your video. We all have shows that we watch regularly, and these are often specific to our demographic. Your agency can create a schedule that airs your video when the highest number of your target viewers are watching. 3. Contact an agency to develop a plan and budget. Contacting an agency about local TV advertising can simplify the process of placing your television commercial. It’s one of the most important steps for your business because advertising agencies offer a level of expertise and strategic direction that you can’t get by going directly to the television stations. Agencies will also work along side you to create a marketing plan and budget, and show you how to use your advertising dollars in the most efficient and effective way. It can sometimes become distracting when trying to carve out time to meet with each media representative to discuss what they offer. It’s also hard to properly evaluate one proposal over the next. Your agency will take the media’s calls on your behalf and share with you only the important information you want to know so you can focus on your business. 4. 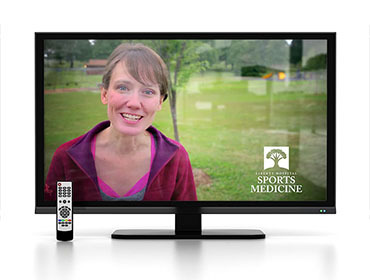 Create a television commercial. If you already have a TV commercial or video created, then you can skip this step. However, it’s always a good idea to review your previously-created ads with your agency to makes sure they line up with your strategic goals and current branding. If you need to have a video crafted for you, then you’re in luck! Most advertising agencies have production teams to do just that. They will create compelling and strategically targeted scripts and work with highly skilled videographers to create a polished finished product. 5. Send the video to your agency. Once your video is finished and your media schedule is approved, your agency will publish your TV commercial. They’ll work with the stations to make sure the ad is directed to the right people and gets on the air quickly. 6. Watch it air and see the results! After making a commercial live on TV, your agency will monitor the ad and make sure everything is running smoothly. They will also look at your numbers and provide regular reports on how effective your ad is. With this information, you can make adjustments if necessary and begin planning for your next campaign. Contact us here or call us at (417) 889-1658 and let Red Crow Marketing help you with your video production, media purchasing and placement needs.